Cold temperatures are hitting people hard in Merrimack Valley, where gas service is still out after fires and explosions last month. As temperatures begin to drop day by day, the October chill threatens Merrimack Valley residents as they battle to keep warm. 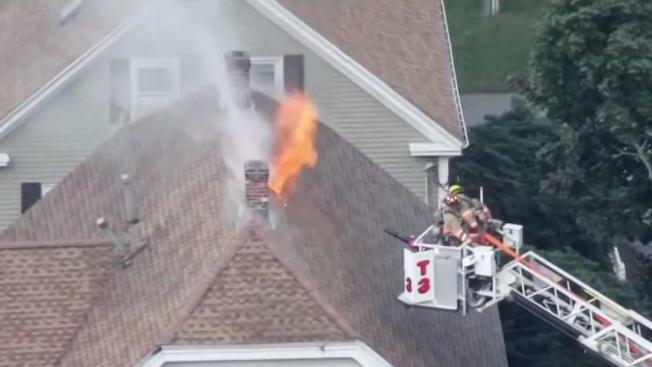 Columbia Gas crews have so far replaced approximately 30 miles of pipelines after a series of explosions devastated Andover, North Andover and Lawrence. They’re working towards a Nov. 19 deadline to have gas fully restored to the affected area but for residents, that day can’t come soon enough. "It's freezing," Rene Czarnowki said. "I have my mom here with me, who's staying here. She called me and she’s like, 'I’m freezing.' What do I do?" Like many other Merrimack Valley residents, Czarnowki is combatting the cold with space heaters. Columbia Gas, the gas company that serves the area, provided residents with space heaters, cots at a shelter and it is reimbursing residents for expenses spent on inconveniences associated with not having gas. Merrimack Valley residents are struggling without gas as temperatures are beginning to drop. "This morning we woke up and it was 37 degrees in the house," Czarnowki said. The Merrimack Valley was devastated by the disaster on Sept. 13. One man died, more than 20 others were injured and about 8,600 residents were displaced. 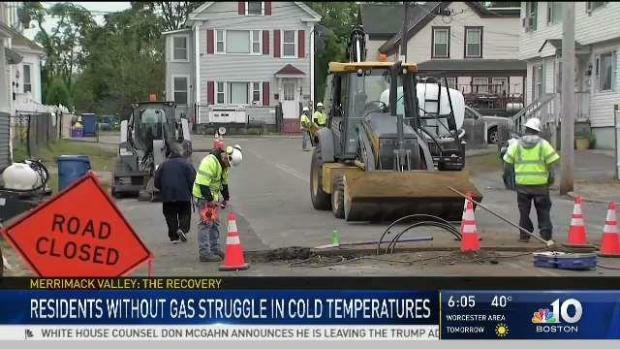 Many continue to have a lack of gas to keep warm. "We want to live in our home and right now, we can’t do that," Czarnowki said.